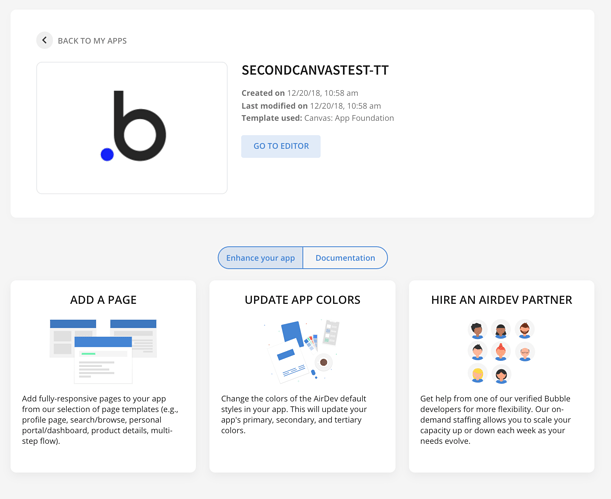 Six months ago we released the first iteration of AirDev Canvas to the Bubble community. We’re very grateful for all your support and thrilled to see close to a thousand app and page requests processed using AirDev Canvas. With that said, we have also received a lot of feedback from the community on what we can do to improve the overall Canvas user experience. Under MY APPS, you will be able to view all of your registered apps in Canvas. 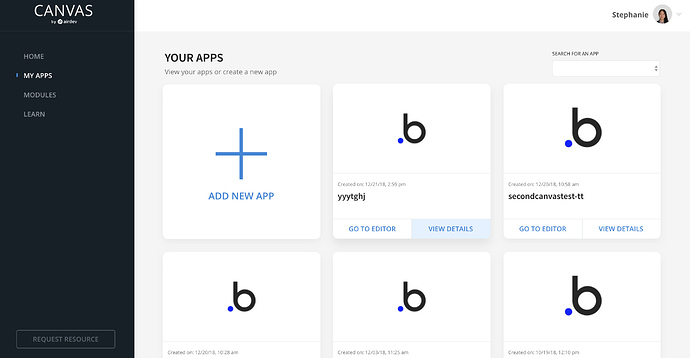 You can create a new app by downloading one of our templates from the Bubble Marketplace (Canvas: App Foundation template and Canvas Rental Marketplace template) and adding dev@airdev.co as a collaborator. 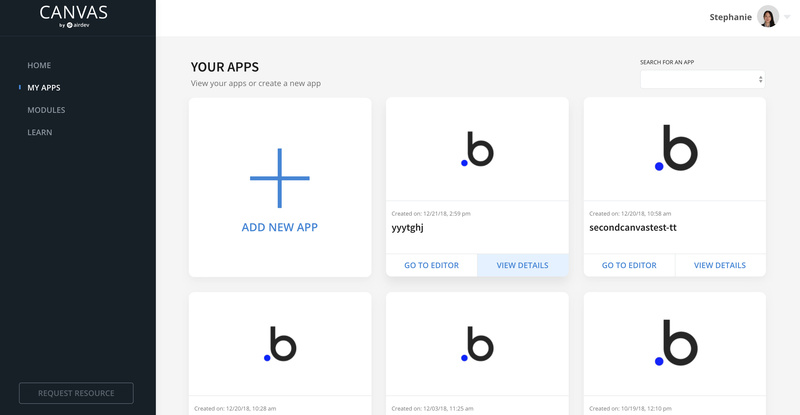 Once your app is registered, you will be able to view your app details. You can choose to enhance your app by either adding a page to your app using Canvas Pages, updating your app colors, or hiring an AirDev Partner if you need help with building. 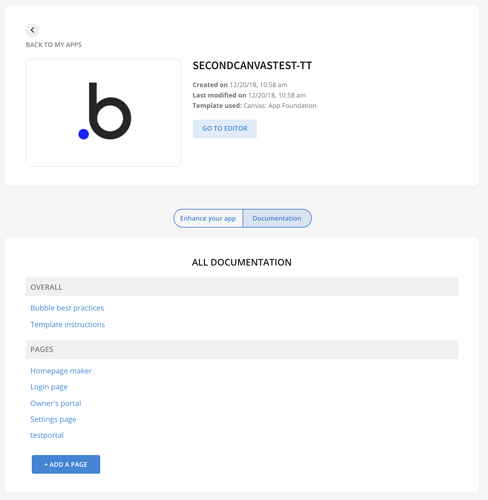 Under the DOCUMENTATION tab, you will see detailed documentation on building standards, template instructions, and page instructions. If you click on a page instruction, you will be taken to a page where you can see all the instructions for the modules you have added to that page. 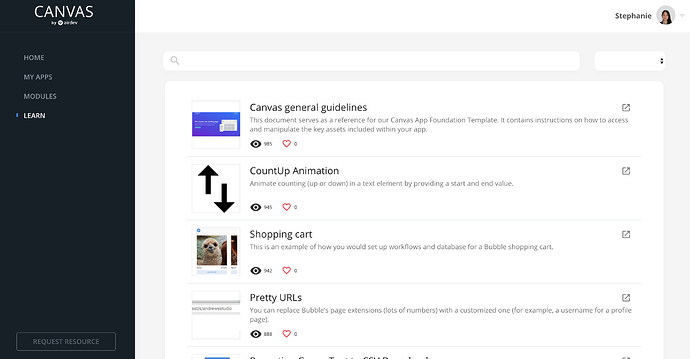 Under MODULES, you’ll see all of our visual resources.These are modules that you can add to a page in your app via AirDev Canvas Pages. 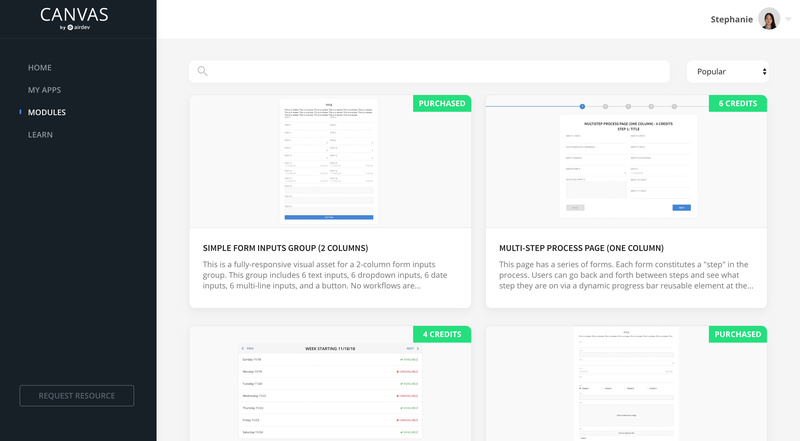 You will be able to view the instructions for all purchased modules. Under LEARN, you’ll see a lot of resources that are related to building on Bubble. These resources are completely free and are available for everyone to use. At AirDev, we use a very similar library for knowledge sharing and have found it to be a very helpful reference to have for our builders. We aim to release more of these resources in the near future and would love to eventually add the ability for users to contribute to this library. Feel free to comment or reply to this thread if you have any concerns or questions. Happy building! We’ve also released a few updates for our free Canvas: App foundation template (forum post link). Looks great, going to be using for projects! We recently built an app using the Canvas Rental Marketplace template. While testing as a seller, our test listing (it’s live) didn’t show up on the owner dashboard as a user (active or inactive) or seller (active or inactive). Also, the listing doesn’t even show up on search. Thank you so much for reaching out and apologies for the inconvenience this may have caused you. Let me send you a DM and let’s get this resolved together so the listing shows up!